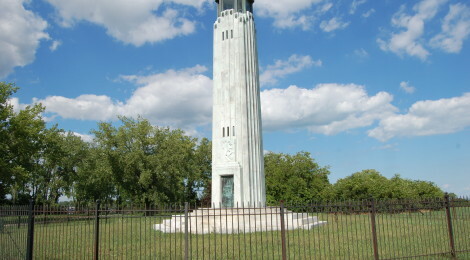 The William Livingstone Memorial Lighthouse on Belle Isle in Detroit, Michigan is one of the state’s most unique beacons. 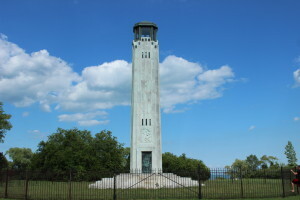 It is one of only two memorial lighthouses (along with Robert Manning Memorial Light in Empire) in the state, and it is the only United States Lighthouse constructed out of marble. 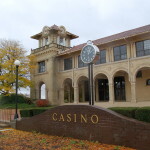 It was also designed by famed architect Albert Kahn, who also designed Detroit’s Fisher Building, Packard Automotive Plant, Belle Isle Aquarium and Conservatory, and countless other landmarks in the area. This lighthouse honors William Livingstone, who was a prominent Detroit businessman that ran a bank, a paper, and was president of the Lake Carriers Association. 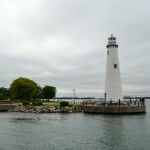 One of the reasons the lighthouse honoring him is placed at this location is that Mr. Livingstone was instrumental in improving maritime traffic in the Detroit River by adding a channel that could accommodate large vessels. The William Livingstone Memorial Lighthouse can be found at the eastern end of Belle Isle, facing Lake St. Clair. 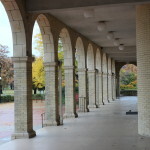 There is a parking area off of Lakeside Drive. 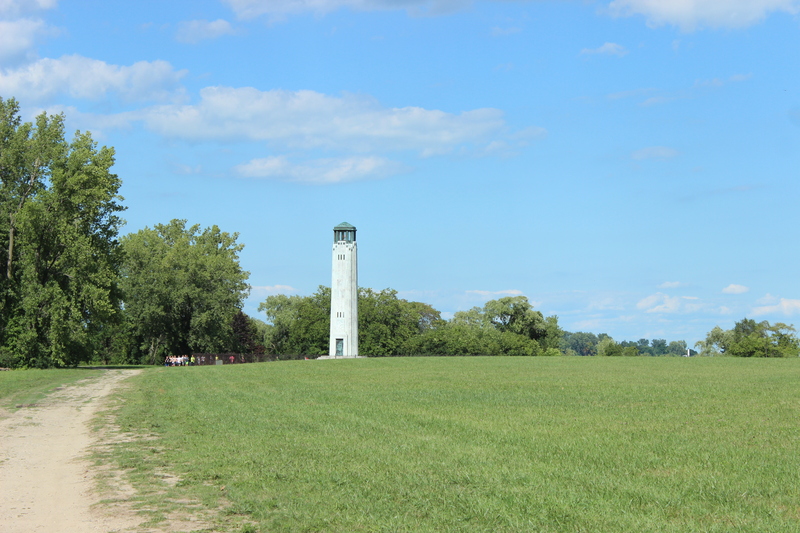 A hiking path skirts around Blue Heron Lagoon – you’ll be able to see the lighthouse when you park and it is a 10 minute walk to reach it. 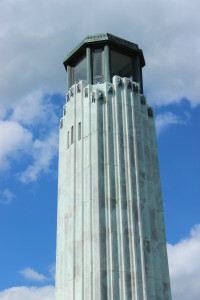 Due to vandalism in years past, an iron fence surrounds the tower – you can’t get close up to this unique light or enter, but it is still something to behold. 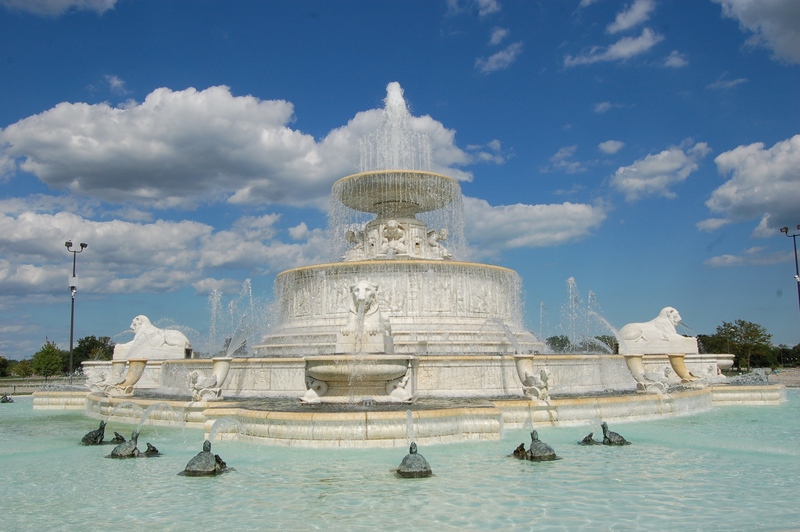 Be sure to check out another amazing marble sculpture at the opposite end of Belle Isle: the James Scott Memorial Fountain. 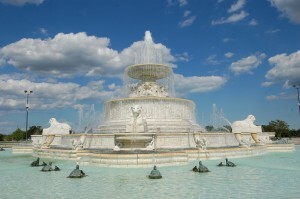 You can find more things to see and do in our 12 Things to See and Do Belle Isle Guide. The William Livingstone Memorial Lighthouse is the starting point for our Ultimate Michigan Lighthouse Road Trip: Lower Peninsula, and be sure to check our Ultimate Michigan Lighthouse Road Trip: Upper Peninsula as well. 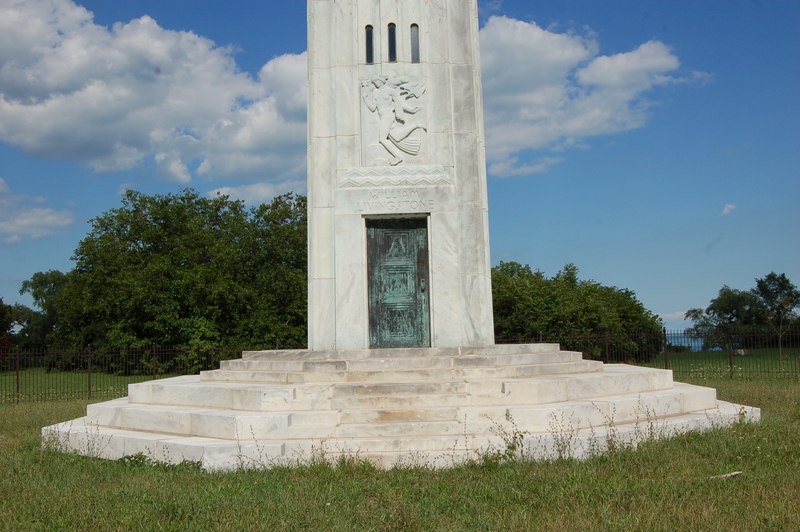 A Michigan Recreation Passport is required to visit Belle Isle, which is now a state park. 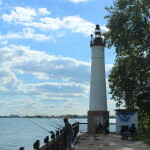 For further reading on Belle Isle lighthouse history, check out the Lighthousefriends.com page.